Perhaps it is because of Dream Course's absence from the Kirby Dream Collection for Wii that Nintendo wanted to include it here-- although Avalanche wasn't in that compilation either, and again, that would've been the better choice between the two. It isn't that Dream Course is a bad game. 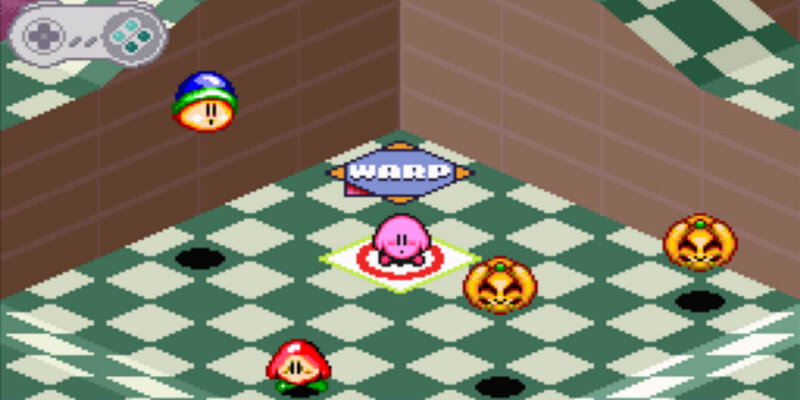 In fact, it is pretty fun; a unique take on miniature golf featuring Kirby as the ball and his enemies as the "hazards." It's the closest thing to a non-racing sports game on SNES Classic, and for that reason alone Dream Course ends up being a worthy addition to the collection-- although it's also the weakest one by far.